Yoga nidra can be called the best method of relaxation for the body, mind, and soul. This is performed by sleeping, physically but not mentally. Nidra, which means sleep in Sanskrit, rejuvenates your body and mind of all the stresses that you face in your day to day life. There are specific ways in which this yoga asana is done and to master it you need to practice it regularly. While various other postures of yoga will make your body fit and healthy, yoga nidra will ensure that your inner self is cleansed and your mind is healed of any stress and pain it may have. 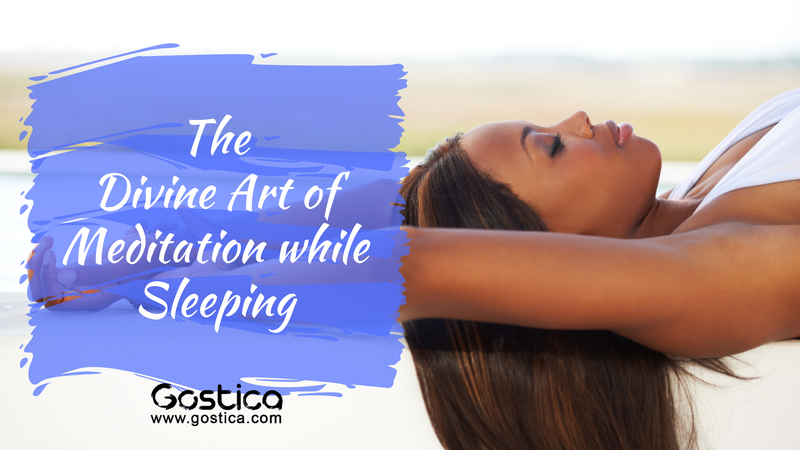 The difference between normal sleep and yoga nidra is that when you sleep your conscious mind is dormant and not working while your subconscious mind takes over. The subconscious mind does not leave behind the stresses or pains you might have faced during the day. Yoga nidra does exactly the opposite. When performing yoga nidra, your conscious mind is still awake and relaxes the body and mind completely without reminding you of the worries you have faced. It is like meditation, which will heal your inner pains. Here are five steps to get started.. Loosen up your body and prepare it for yoga nidra by settling down on an undisturbed and quiet place. In this step, your mind or consciousness should be made to take a trip through your whole body. Your mind should visit all parts of your body relaxing them step by step and slowly. This whole process should relax the body and should give you pleasure. It makes your mind aware of all the body parts and how they function. This is done slowly and through the nostrils only. Breathing slowly and deeply will help your body parts to lose their sensitivity and go into a trans like state, but with your conscious still awake. All the sensory nerves will be relaxed and will make your body feel light and relaxed. In this step, you need to think about the pleasures and emotions you might have faced earlier in life. These feelings are experienced again by thinking about them and then they are eradicated. Feelings of opposite nature are used to make you re-live the experiences, like feelings of pain and joy, and light and heavy; this will make you overcome the experiences and emotions to relax the mind. This step will not only help you relax, but also build up will power. In this last and final state, you are made to visualize some really pleasing scenes like a mountain, sea, lake, a holy place or anything, which gives you peace of mind. This will help relax your mind of any left over tension. After all these, the ‘Sankalpa’ is repeated once again and this ends the session. The whole session can last for about 45-50 mins or even more, and you can do it yourself, buy a yoga nidra CD, or get help from a teacher. After the whole session, you are made to come back to consciousness. The feeling is of waking up, but it was not actually sleep that you were in. This article was originally written by Amanda Kidd for MindBodyGreen.